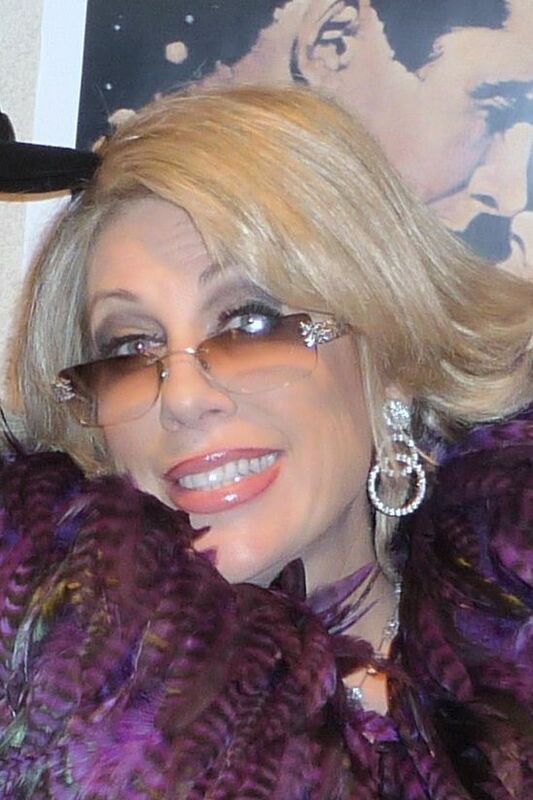 Dee Dee Hanson is the country's foremost Joan Rivers Impersonator and Look-alike. 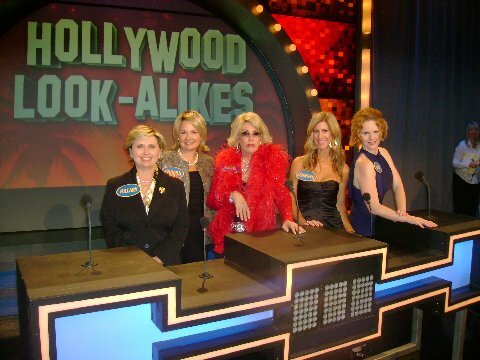 Your guests will feel like Stars "On The Red Carpet"
Featured on "The Next Best Thing" "Family Feud" "The Joan Rivers Show" "HBO"
Award Banquets, Grand Openings, Oscar Night, New Product Launch, Hospitality Event, Hollywood Themed Event. Joan Rivers Quote: "The Young Lady who plays me so well is Dee Dee Hanson & your just terrific" Opened for the Joan Rivers for corporate event. DeeDee brings magic - phenomenal work! Guests laughed, were shocked, were thrilled and of course, talked! DeeDee is a true pro! Dee Dee Hanson has been professionally performing as Joan Rivers since the the late 80's. Travelling all over the country, Canada, Jamaica & Cancun...however, her enchantment with the limelight was apparent at an early age. Her father, a former New Englander who was a Al Jolson sound-alike, and her mother, an effervescent Peruvian, encouraged music and dance, believing they were important ingredients for a happy life. Marriage to Jack in 1984 brought much personal happiness. Dee Dee believes Jack's continuing support and encouragement have played a key role in her life, and he has been a pillar of strength in her quest for stardom. Prior to performing as Joan Rivers, Dee Dee always would make people laugh at every job. From Gas Station Attendant to Real Estate Sales to Loan Office,Product Demonstrator. people would enjoy the entertainment. The transition of loan officer to comedian was inspired by her husband in the late 80's. 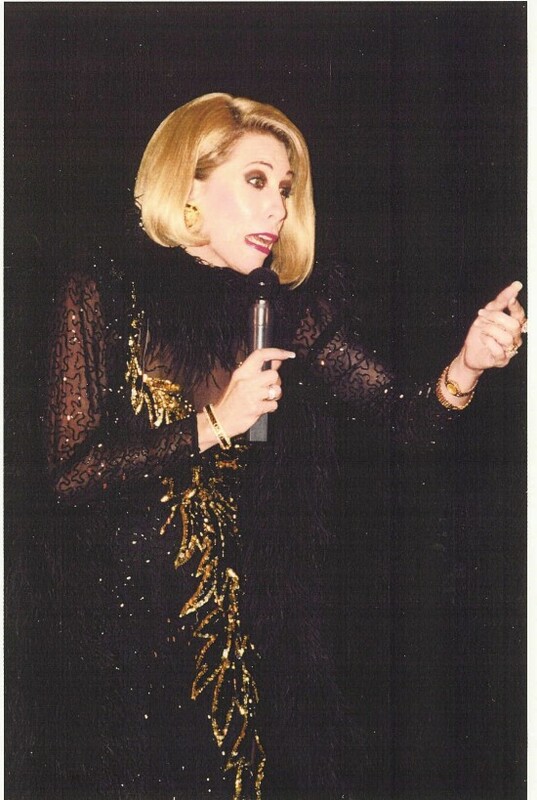 One evening of Comedy, an agent caught her comedic impressions and booked her as "Joan Rivers" for a corporate event. Dee Dee's first appearance as "Joan Rivers" was a standout! She knew she'd found her nitch when attendies gathered around, watching, asking, "What is Joan Rivers doing here?" and asking for her autograph. It was a glorious beginning. The Producers of the Vikki Lawrence Show introduced Dee Dee to Joan Rivers saying "This is Dee Dee Hanson and she makes her living impersonating you" Joan's response was "Thank you very much...and I wish you lots of Good Luck!" When asked "What do you feel is one of your greatest accomplishments" Dee Dee is quick to respond.. "When I performed as 'Joan' in front of the real Joan Rivers on national television and received compliments from her.."She even gave me a piece of her Joan Rivers Jewelry." 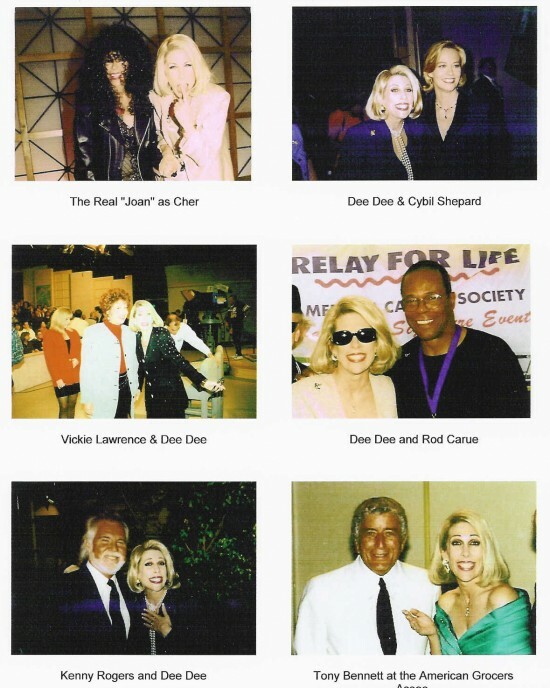 Joan Rivers Quote: "The young lady who plays me and plays me so well is Dee Dee Hanson and you're just terrific! Now get out of my chair B___!"